Roller Blinds guard against natural light, protecting your furnishings from heat and sun radiation. Roller blinds have always been popular with homeowners. Simple, effective and affordable, roller blinds guard against natural light and protect your furnishings from sun damage while allowing you to enjoy the view outside from the privacy of your home. Easy to use, roller blinds can be operated manually or be automated, eliminating unwanted hanging chains. 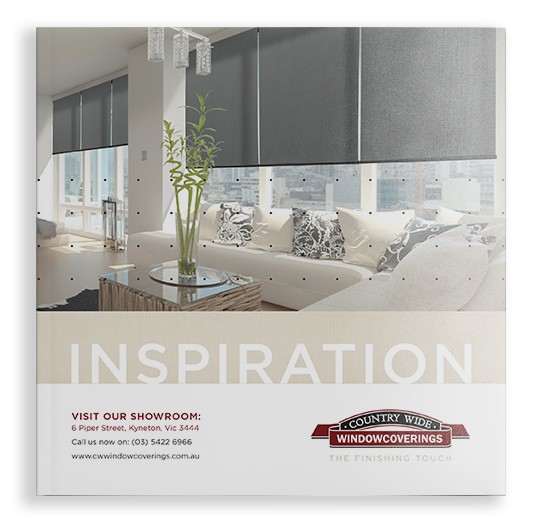 A combination of fabrics on multiple blinds can be used on one window with ‘dual’ combination brackets so you can switch from a translucent screen to a blockout blind at the drop of a hat and maintain a comfortable home all year round. Fully bespoke, our blinds can be customised to suit you home and budget; whether you need an affordable plain option, functional blockout fabric, decorative option or motorized mechanism we have an effective and durable solution for your windows. We also offer the option to add a soundproof bumper to the base of your blinds, so no more clanging noises if there is a gentle breeze blowing inside!